Smaller and smaller pieces of single-use plastic are ending up in the stomachs of juvenile sea turtles off the coast of Florida. 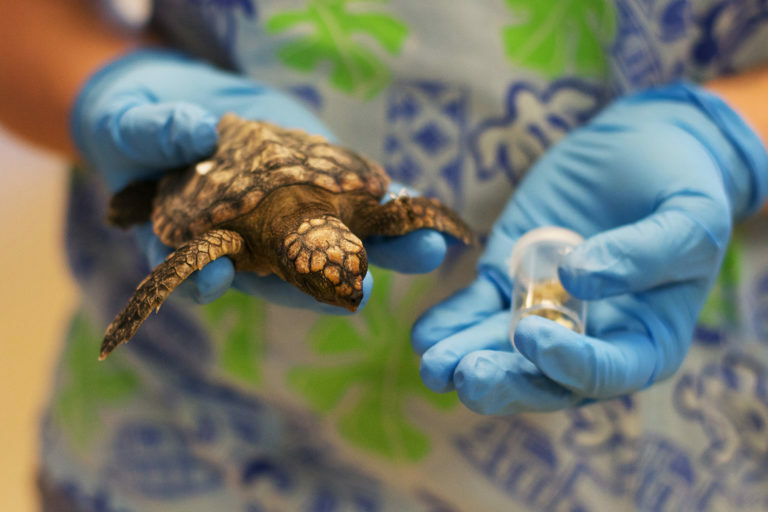 Of 96 stranded sea turtle hatchlings collected in a study, more than half died, while all the survivors passed plastic fragments through their bodies. Increasing amounts of plastic entering the ocean and disintegrating into microscopic bits have increased the risk that sea turtles will choke on or struggle to pass plastic debris, making it harder for them to reach adulthood. “They’re pretty non-discriminatory with what they’re eating at this life stage. They eat whatever floats past them,” said Samantha Clark, a veterinary technician at the Loggerhead Marinelife Center (LMC) in Juno Beach, Florida, co-author of the study. Samantha Clark holds a rehabilitated post-hatchling sea turtle in one hand and a vile of plastic remains in the other. Photo courtesy of Loggerhead Marinelife Center. Researchers from the LMC and the University of Georgia used a recent rescue project to examine what small sea turtles were eating. They recovered 96 post-hatchling and juvenile sea turtles from a 118-kilometer (75-mile) strip of the coast between Vero Beach and Lake Worth, Florida, from July 2015 to November 2016. They rehabilitated and released 45 turtles, all of which passed plastic through their bodies while in the lab. Plastic disintegrates and degrades in the ocean from sun exposure and natural currents. “Plastic really never goes away. It just breaks down into smaller and smaller pieces,” said Clark. Plastic in a baby sea turtle’s diet leads to physical burdens that impact nutrient absorption and gut function in the developing animals. 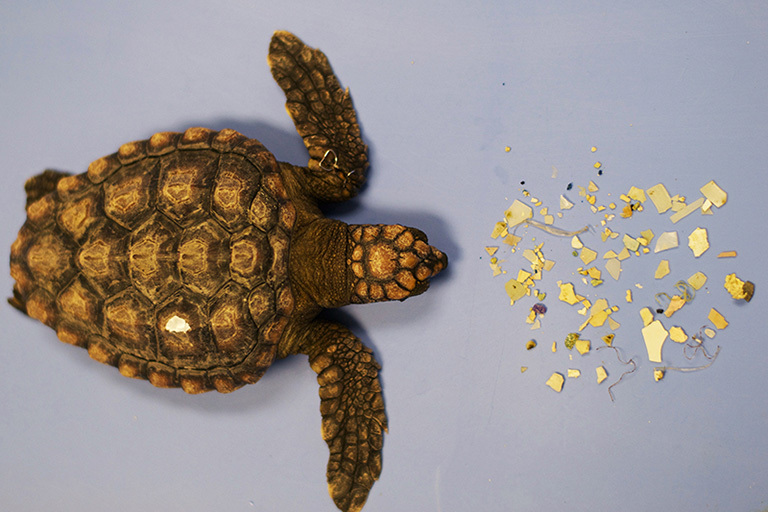 This study was the first to demonstrate that sea turtle hatchlings are ingesting increasingly smaller pieces of plastic. A rescued post-hatchling sea turtle lies next to its plastic stomach contents at the Loggerhead Marinelife Center in Juno Beach, Florida. Photo courtesy of Loggerhead Marinelife Center. Katie Brown (@earthexaminer) is a graduate student in the Science Communication Program at the University of California, Santa Cruz. 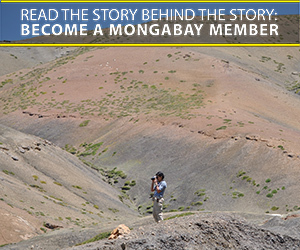 Other Mongabay stories produced by UCSC students can be found here.